The International Women’s Day comes with much fanfare every year. A plethora of ‘gender’ discussions kick-started, films screened, rallies held and what not. But, like any other day, it goes just as quick as it came. When a global movement pressing for gender equality is gaining momentum, how far have we come? There is no denying the fact that women in India have made considerable progress in almost seven decades of Independence. Several social, economic and political provisions were incorporated by the Indian government for the empowerment of women. Though our women have excelled in many areas, they still face the odds of a male-dominated society. India fell 21 places on the World Economic Forum’s Global Gender Gap index, from 87 in 2016 to 108 in 2017. Statistics show that India lost out mainly because of lower participation of women in the economy and low wages. According to a recent World Bank report, only 27 percent Indian women are currently in the labour force. Furthermore, 31 percent women (aged 15-45) in the country are illiterate and only 35.7 percent women have ten or more years of schooling, as per the National Family Health Survey 4. The survey also revealed that 26 percent of married women never participate in household decisions at all. Only 38.4 percent women individually or jointly own a house or land. Crimes against women have doubled over the past ten years. As many as 39 crimes against women were reported every hour in India, up from 21 in 2007, according to the National Crime Records Bureau (Crime in India 2016). “Cruelty by husband or his relatives” was the most reported crime against women, accounting for 33% of all crimes in 2016. Surprisingly, as per a report in The Wire, the year 2016 saw the lowest conviction rate of 18.9 percent, for crimes against women in a decade. Gender inequality is not only prevalent in the above-discussed sectors, it extends across various facets of society. Empowerment of women, especially those who belong to the weaker sections of the society, is one of World Vision India’s focus areas. 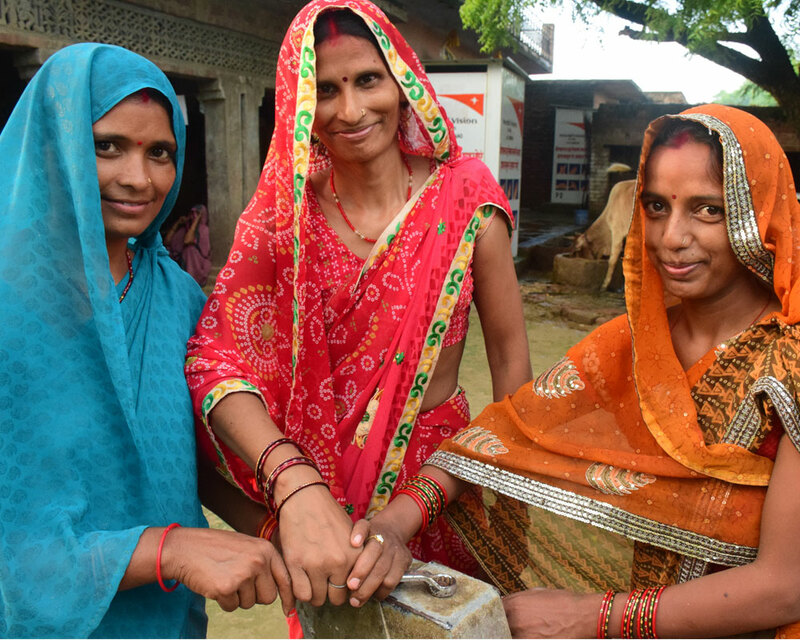 Here’s a gist of how three women from a small village in Unnao Area Development Programme, Uttar Pradesh, are taking on a task that was earlier done by menfolk in their community. 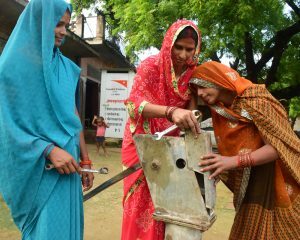 Rekha, Radha and Sadhna have a unique interest in repairing their community hand pumps ever since they attended a training programme conducted by World Vision India. “It started with me repairing my own hand pump. I was scared because I thought I would break something. But after realising that it was not very difficult, I encouraged Radha and Sadhna as well. Now when people have a problem with their hand pump, they call us first,” says 40-year-old Rekha with a broad smile. “However, when we go to repair the hand pumps most people stare at us. There is always a crowd that gathers. Some people think it is not a woman’s job to do this work,” she adds. 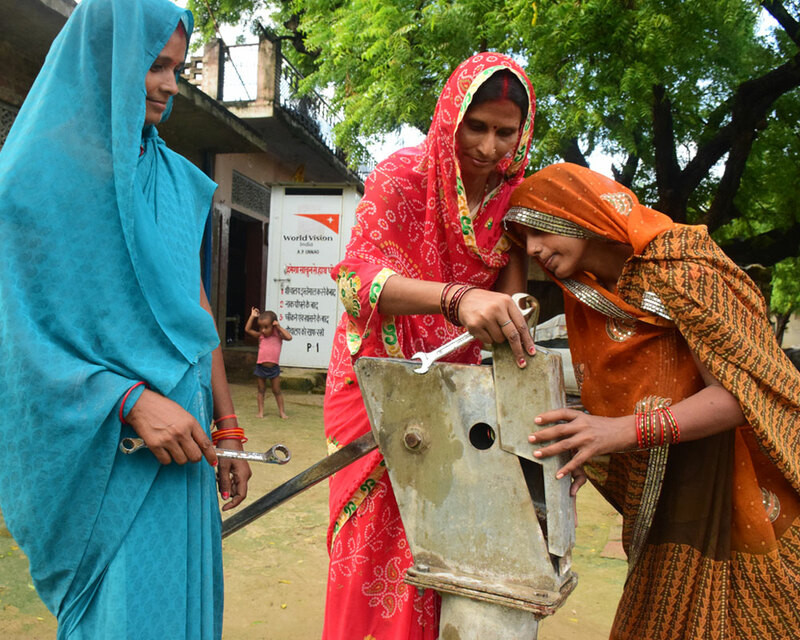 Rekha, Radha and Sadhna were among 53 other women from different villages in Unnao, who attended a practical training programme conducted by World Vision India along with Sarathi Development Foundation, on Community Led Water Security. The aim of the training programme was to empower mothers and women from different Self Help Groups (SHGs), on the basics of hand pump repairing, maintenance and practical water testing to check for contamination. “Earlier we depended upon our husband to call the repair man. It would take a long time, sometimes months, to get a small job done. It would be very costly too. Now we just open it up and see what the problem is. I have repaired my personal hand pump at home on several occasions now and saved a lot of money in the process,” says Rekha. “It is important for women to learn these skills and be empowered. Women are more concerned about water problems because they are the ones who fetch water and take care of the household. If more women learn this, then we do not have to depend on the men to get it done. Women can work together in a big group and the men will look at us equally then,” says 27-year-old Radha. The trio is now planning to buy a toolkit of their own and learn new skills in plumbing. “Right now we have not taken money from anyone in the community to do this work. But, if we learn more skills and get better at it we too can earn an income,” says Rekha with a smile. Women’s empowerment is essential to support women to live with dignity, participate fully in the society and contribute to the prosperity of their communities. #PressforProgress is indeed a strong, timely call to motivate and unite people and communities to think, act and be gender inclusive.